Multiple scenes of Sherman County, Kansas. 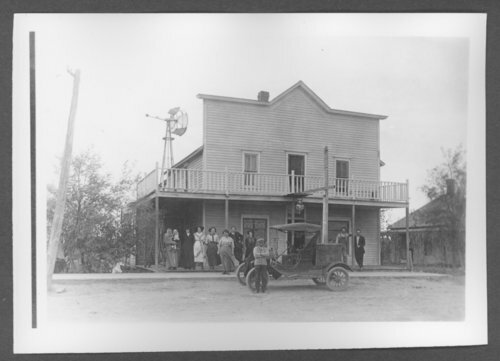 In the photograph of the Commercial Hotel, pictured left to right: Carrie Briggs, unknown, Minnie, Nate Briggs, unknown, unknown, unknown, Clayton (beside the car), unknown, unknown. Scenes of Sherman County, Kansas - Commercial Hotel in Kanorado, Kansas.